If you're looking to cut Tile Toomey's Rent-All Center carries a variety of different options. 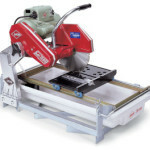 From Ceramic to Asphalt and even Linoleum we've got a bunch of different tile cutters. 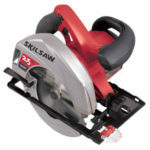 For Ceramic Tile we offer both a general Wet Saw as well as a Brick and Tile Saw. 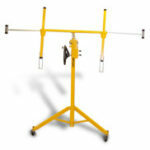 We also carry hand powered tile cutters for more experienced masons. 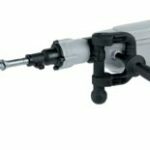 If you're working with Asphalt, Asbestos or Linoleum tile we also have hand powered tools for that style as well. This item should fit in most empty vehicles. If you have any questions please refer to our Equipment Pickup Policies or call us for more information. This item has sold and is no longer available for rental. If you’re interested in purchasing a similar model please feel free to call us for pricing. 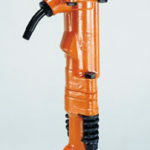 Toomey Rents carries a variety of different electric hammers ranging from “hammer drills,” like the one pictured above, to “hand-held demolition hammers” and upright “jackhammers.” If you’re not sure which hammer is best for your job we’d be glad to help you weigh the benefits of each type in advance. Large Demolition hammers for poured concrete, asphalt or cement. 80 CFM tow-behind Air Compressors for running large hammers and clearing irrigation lines. Toomey Rents carries a variety of Electric Hammers ranging from standard handheld “demolition hammers,” like the Kango 900 Model pictured above, to “hammer drills” and “jackhammers.” If you’re not sure which hammer is best for your job we’d be glad to help you weigh the benefits of each type in advance.